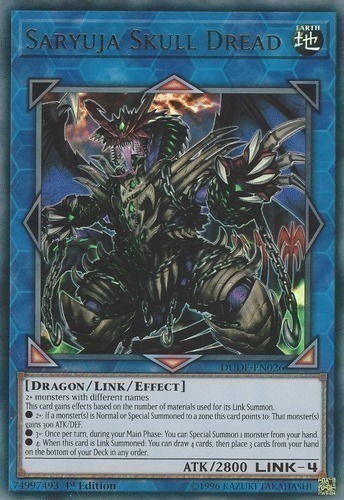 This card gains effects based on the number of materials used for its Link Summon. ● 2+: If a monster(s) is Normal or Special Summoned to a zone this card points to: That monster(s) gains 300 ATK/DEF. ● 4: When this card is Link Summoned: You can draw 4 cards, then place 3 cards from your hand on the bottom of your Deck in any order.